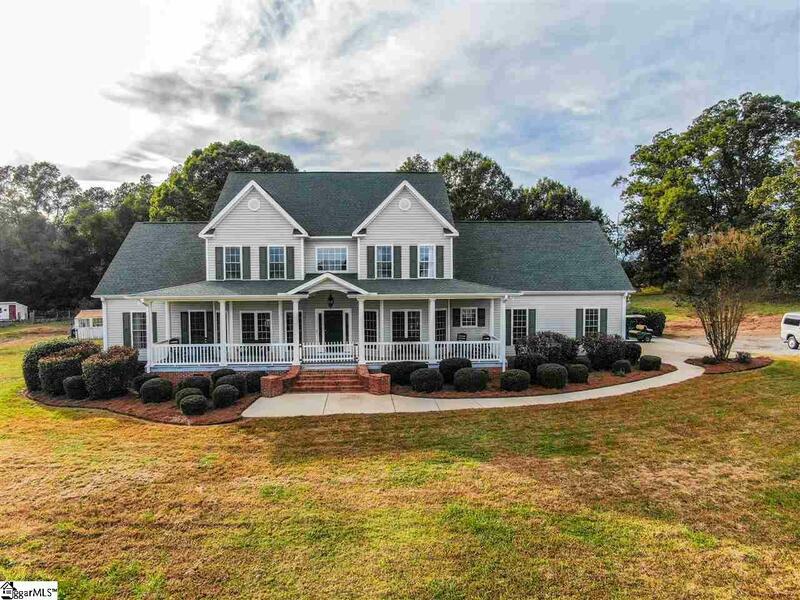 This stunning 5 bedroom, 4.5 bath farmhouse is located on a 16 acre working farm. The house has a pond view and rolling acreage. Covered porches on the front and back of the house provide an extended entertaining area for all occasions. 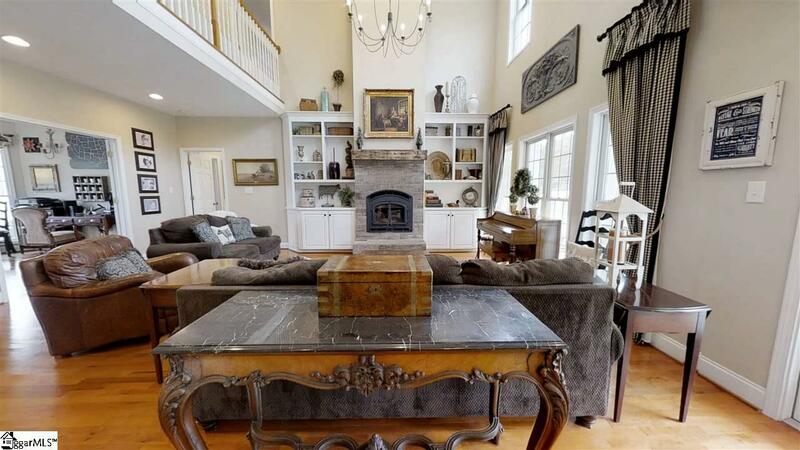 This home features a two story family room with built in book shelves located on each side of the wood-burning fireplace, hardwood floors, and French patio doors. Kitchen has solid surface counter tops, organized pantry with pull-outs, double wall oven, under-counter lighting, and bar open to the breakfast nook. Master suite is located on the main floor and has hardwood floors, jetted tub, double vanity (toilet & shower separate) and his & her walk in closets. 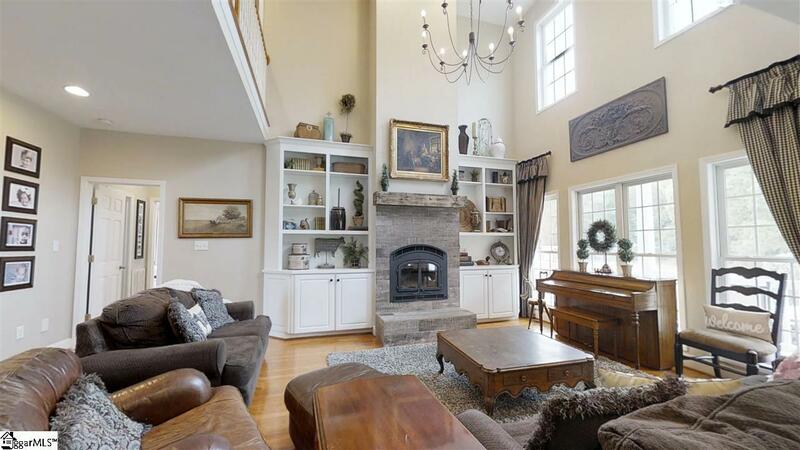 Upstairs balcony is open overlooking the family room. Second floor has 4 bedrooms, 2 baths, and one bonus room and offers plenty of storage and functionality. 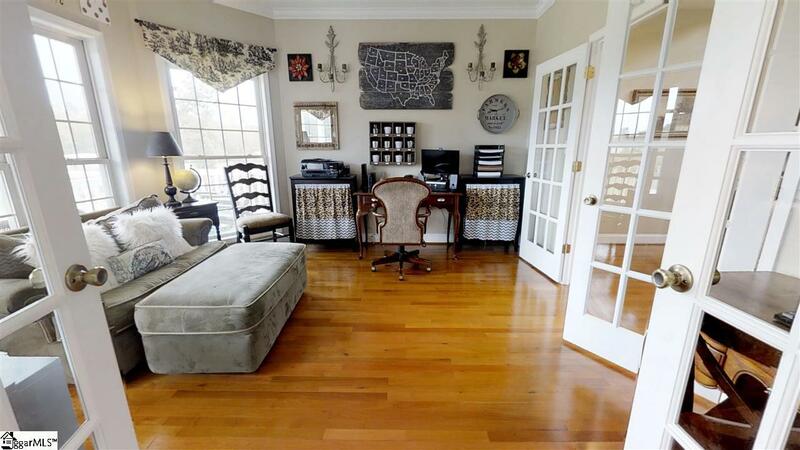 3rd floor has 1 bonus room and 1 bath and could be used as another private suite. Attached double car garage with mature landscaping. Property includes chicken coop, fruit tree orchard with 20 different varieties of apple, peach, pear, plum, mulberry, and cherry. Additional features include a stocked pond with dock, complete perimeter fencing around all 16 acres, cross fencing and water in all pastures. In the back yard you will find a 2700 sq ft kitchen garden with accompanying greenhouse as well as a recently installed well that supplies all of the water needs for the whole property. Commute times: only 10 minutes to shopping and dining in Laurens, 30 minutes to Simpsonville, 30 minutes to Greenwood, 40 minutes to Greenville.